Indonesia (MNN) — Indonesia is still recovering from the earthquake, tsunami, and volcano that rocked the island of Sulawesi. The Washington Post reports over 2,000 people are confirmed dead. Searches for the missing officially ended Thursday. But, when the triple-disaster first struck on September 28, Mission Aviation Fellowship immediately responded to help support the relief effort through their Indonesian entity, Yayasan MAF Indonesia. 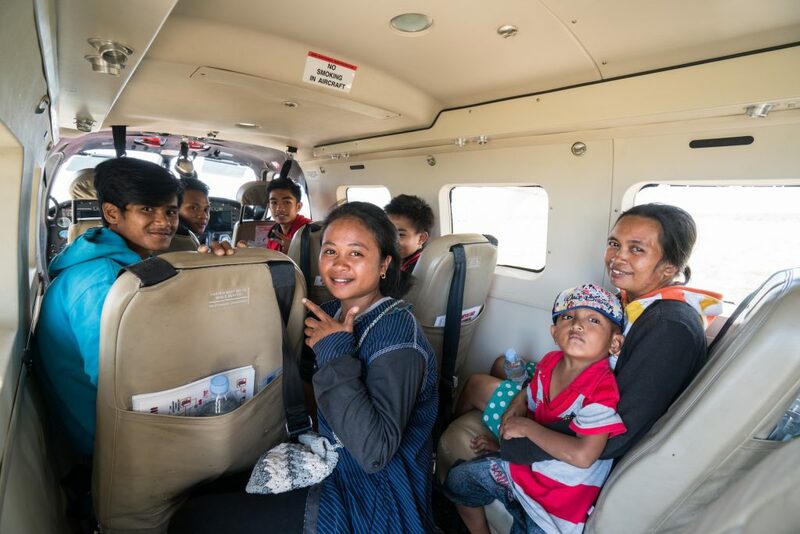 “We were able to rapidly get an aircraft in, bring some of our disaster response surge team, and join up with some partners Ethno360 [Aviation]…and set up a response out of Palu, which is kind of the epicenter of the disaster,” MAF’s Global Director of Disaster Response John Woodberry explains. Yayasan MAF Indonesia is an aviation non-profit serving isolated people in remote areas. The non-profit has been serving in Indonesia for over 60 years. For Yayasan MAF Indonesia, flight support comes down to speed and helping where there are critical needs during a disaster. This translates to delivering relief, supplies, and helping move people in and out of remote areas. The non-profit, in partnership with other local aviation groups, has been using two fixed-wing [Kodiak] aircraft and a helicopter to accomplish the task. “One of the initial things we were doing is, because Palu was devastated where we are based, is there [were] a lot of kids that needed to get back to their home villages in remote areas. Often family members host children of family members that live remotely so they can get a better education,” Woodberry shares. Since infrastructure has been destroyed in Palu, MAF also brought in a rapid response team to support Yayasan MAF Indonesia and set up a VSAT Communication system at Palu airport. The system has helped MAF’s operation with responding to the disasters while also helping aid agencies communicate with their teams. “The other day we were able to basically, in a flight, find a village with about 5,000 that was totally cut off, and be able to be a part of getting relief to go to that area. The ability to fly places and leapfrog over roads that have been cut off, areas that are isolated, is a blessing of speed and access that aviation can bring in a disaster response,” Woodberry says. However, the Yayasan MAF Indonesia team is tired. They have been sleeping in the hangar and have faced challenges in securing fuel for generators. Still, Woodberry notes how the team’s challenges are not like those they are serving. Pray this team would continue to have the energy to serve well. 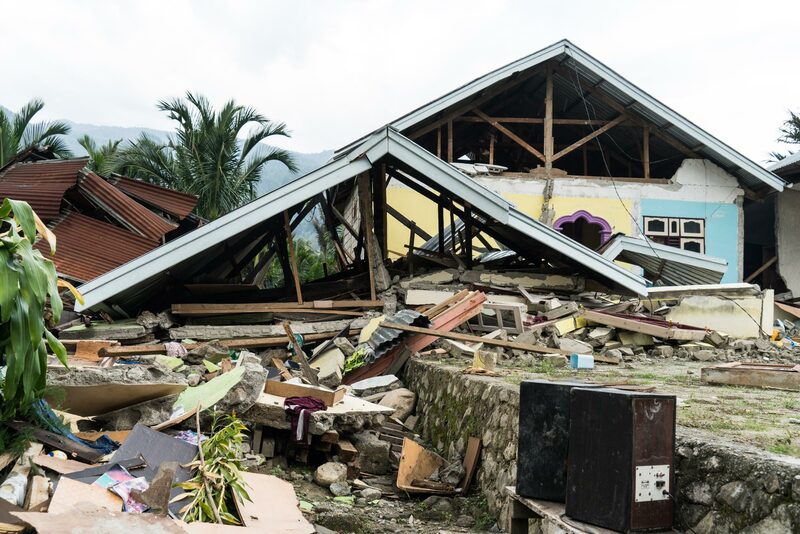 Ask God to heal and provide for the people on Sulawesi following these disasters. Also, pray for Indonesia’s recovery from this triple-disaster. 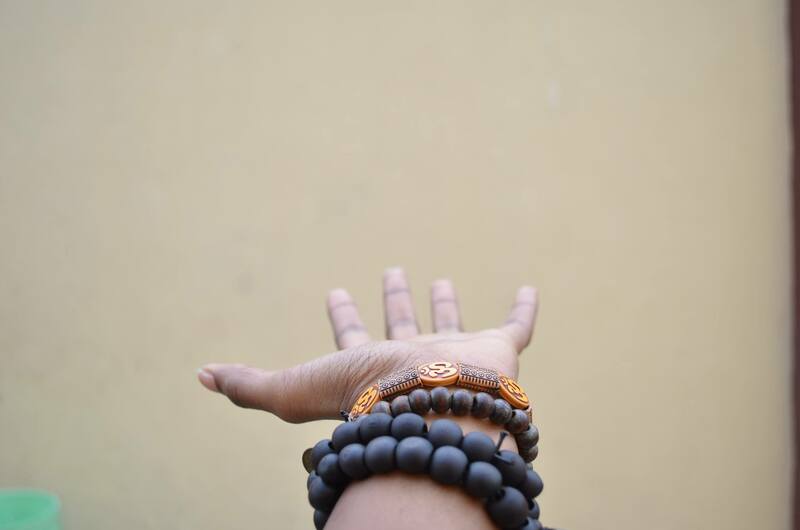 Support MAF’s work in Indonesia here! Note: A Smithsonian article addresses how large earthquakes could trigger smaller quakes miles away. This could be a concern in Southeast Asia. A 6.0-magnitude earthquake recently impacted Indonesia’s Java and Bali islands. Less than 2-hours later a 7.0-magnitude earthquake affected Papua New Guinea. Pray for the people impacted by both these quakes. Header photo courtesy of Mission Aviation Fellowship. Pray for Indonesia’s recovery from both this triple disaster and the recent earthquake affecting Indonesia’s islands Java and Bali.